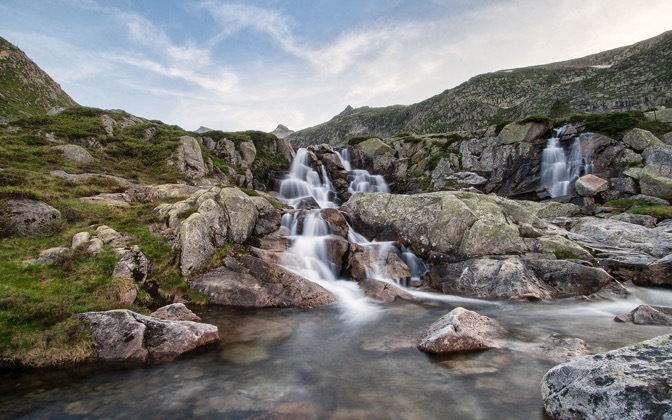 A waterfall located next to "Les Etangs de Bassiés" in the French Pyrénées. Canon EOS Digital Rebel XTi, Canon EF-S 10-22mm f/3.5-4.5 USM. There are currently no user-submitted comments for this wallpaper.